Aengus, a hard-bitten young thief with a gift for sand painting, expects a fine new life of adventuring when his drunken father sells him to Bruchan, a wandering storyteller. But instead of illustrating his new master's tales at fairs, Aengus finds himself embroiled in a desperate secret war. For Bruchan leads an embattled religious community which is fighting to keep alive its hidden knowledge and ancient way of life. Threatening them are the fanatical Brotherhood of the Wolf, servants of the Wild Fire, who ruthlessly hunt all such heretics. 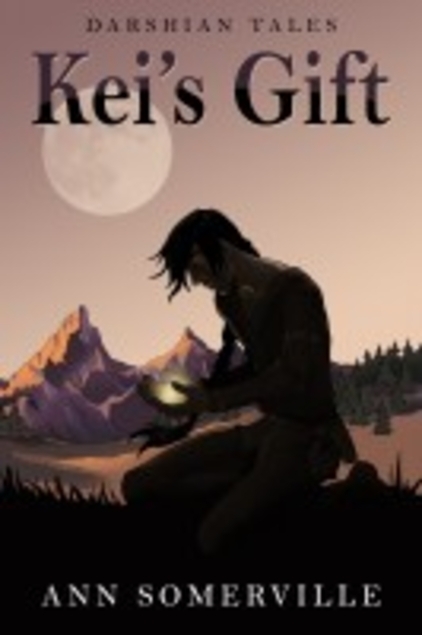 Schooled by his master in weapons, arcane art, and the proud history of his people, can the boy from the Burren find a way to save himself and all he has grown to love, or will one spill of his colored sands unleash the ravaging Fire? I received a free copy of this book in exchange for an honest review through LibraryThing’s Early Review program. In a lot of respects, I don’t think this book has aged well. The cast is so entirely male cast that when you finally hear a female voice it’s very clearly a plot point. The story is told in the first person with occasional fourth wall breaking comments about how long ago it all happened, which are irritating and distracting. There’s a preponderance of made-up words and celtic symbolism that just feels cliche. What annoyed me most, though is that the mentor characters talk in thees and thous. It’s presumably meant to make them sound wise, but just makes them sound arrogant if you know the actual difference between thee and you. Thee is familiar, you is respectful, so to have a character who refers to everyone as thee while they call him you suggests an imbalance of respect, which is clearly not what the author was going for. Not only that, but it’s deeply distracting (partly because I spent half the dialogue trying to figure out if it was being used correctly and what that implied) and lends nothing to the characterisation. As a new edition of an older book, it would have been nice if a new editor had suggested these be edited out. It’s a shame the book has dated so badly, because the plot trundles along at a decent pace and the characters are broadly likeable. If you haven’t read a lot of young adult fantasy the cliches are less likely to bother you. I didn’t mind finishing it, but if I had a choice about how to spend that time again there are definitely books more deserving of it. War brings Kei, a gentle healer from an isolated village, into collision with Arman, an embittered, honourable general, a man trapped in a loveless marriage and joylessly wedded to duty. The fate of two nations will rest on these two men–and somehow they must not only learn to overcome their own personal difficulties, but bring peace with honour to their countries. If they fail...many will die. Initially I was very excited about Kei’s Gift, and ploughed through it at some speed. I liked the two main characters, appreciated the world building of their separate societies, and felt the plot was moving at a good pace. However, as the story progressed and the pace got slower and slower – especially once Kei and Arman started travelling back through Darshian – I found myself becoming more aware of the novel’s flaws. The moral rightness of the Darshians and the wrongness of the Prij are black and white from the beginning, but Somerville seems determined to hit the reader over the head with it. The Darshians have scientific medicine while the Prij rely on superstition. The Darshians are peaceful farmers and scholars while the Prij are expansionist warmongers. The Darshians are democratic, the Prij monarchical. The Darshians are forgiving, the Prij proud. Darshians liberal, Prij prudes. Darshian’s magical, Prij not. Not only is it repetitive, but it takes all the tension from the plot. The Darshians will win because they’re the good guys, and they will win in the most peaceful, democratic way possible. Arman and Kei face no real obstacles in their relationship because all of Kei’s Darshian friends and family are lovely, forgiving people who want the best for Kei. I kept reading because I was still invested enough in the characters to want to find out how the novel ended, but it was slow going. The novel makes thoughtful points about PTSD and how even the best community can’t make healing happen any faster than it would otherwise. Its characters are well fleshed out and realistic (within the black/white morality of the novel) and they have complex relationships with each other. There’s a lot to enjoy about Kei’s Gift, but the pacing and morality of it just weren’t for me. WHAT HAVE WE LOST WHEN NO ONE LOSES? The New Texas Storm haven't won a game in two hundred years. Following a worldwide pandemic and The Concord, which brought peace to a troubled post-apocalyptic world, winning was condemned as primitive behavior. 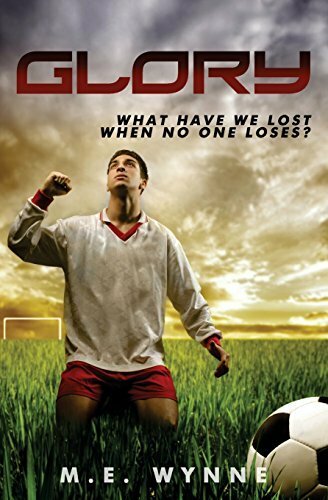 But when winger Ledger Dent meets an old coach, he slowly begins to unravel why competition is unacceptable, and realizes more than his personal glory hinges on a victory. I received a copy of ths book for free in exchange for an honest review from LibraryThing’s Early Reviewer’s program. It’s hard to work out where to start with this review. I’ve never encountered a dystopian novel with a sports hook like this. It’s a bread and circuses sort of set up, and it mostly works. The main issue with the book is it’s just too short. The world building is great, but there’s not enough time to really develop some of the characters. Ledger is a bit too everyman to be interesting, and you barely see the rest of his team. I wasn’t sold on the idea of a single player being able to win for a team with no support whatsoever form his team mates, but the ending actually worked with that issue rather than against it. The ending is a little rushed, but the newspaper headline format is a good way to summarise what is essentially a whole ‘nother book’s worth of plot. On the other hand, I’d be perfectly happy to read that other book, so skipping through it like that was a shame. It’s a bit of an odd fish this: the prose is more akin to Wyndham’s later novels, but the plot is straight from his Beynon days. The characters are a bit of both. It’s been slated in professional reviews, but reading it myself I think a lot of them have been rather unfair on this franken-novel. Overall, I enjoyed this novel. The plot is well thought out and suitably creepy, and it moves along pretty quickly. The heroine is typical of Wyndham’s later novels – resourceful, intelligent, and more insightful than the hero. The hero, however, probably ranks as one of Wyndham’s least intelligent. The reader figures out roughoy what’s happening pretty quickly, but every time other characters start talking about something that would help the hero figure it out he stops listening for one reason or another. This becomes immensely frustrating, almost as much as the fortunate accidents that befall him repeatedly. It feels like a third or fourth draft – the quality of writing and the majority of the plot are fine, but it needed an editor to run an eye across it a final time to iron out the coincidences and TSTL moments. 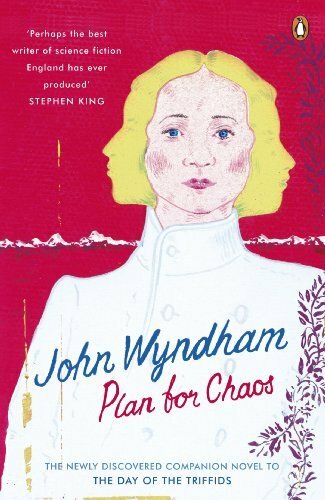 It’s definitely worth reading if you’re a Wyndham fan, but if you’re just starting to read his works I’d leave it until last. In the quiet suburb of Harting Farms, the weekly crime blotter usually consists of graffiti or the occasional bout of mailbox baseball. But in the fall of 1993, children begin vanishing and one is found dead. Newspapers call him the Piper because he has come to take the children away. 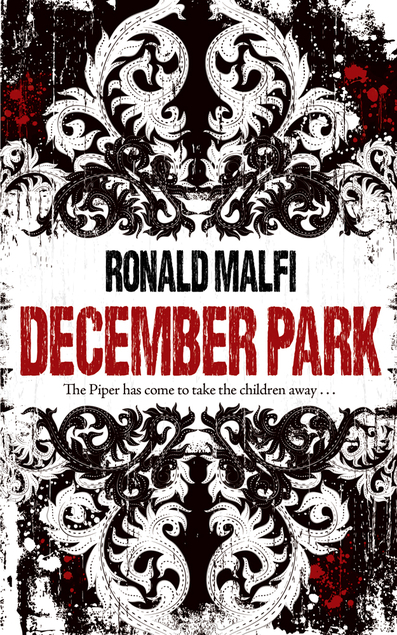 But there are darker names for him, too ...Vowing to stop the Piper's reign of terror, five boys take up the search. Their teenage pledge turns into a journey of self-discovery ...and a journey into the darkness of their own hometown. On the twilit streets of Harting Farms, everyone is a suspect. And any of the boys might be the Piper's next victim. I received a copy of this book for free in exchange for an honest review through LibraryThing’s Early Reviewers program. I’m a little conflicted on this book. As a bildungsroman, it’s great – well observed, realistic characters, interesting arcs – but as a mystery the end is a complete wash out. The two genres clash in awkward places, pulling a reader out of the novel. On the one hand, as a bildungsroman, it makes sense of the teenagers of the town to be so divided from the adults and to keep their own counsel. As a mystery, it’s ludicrous; the teenagers are actively obstructing the investigation and endangering their own lives. Even the main character allows his police officer father to follow lines of investigation he knows are dead ends (like the girl who is assumed to have gone off with someone she knew having actually snuck out for a smoke). Thematically it highlights the division between adults and teenagers, but realistically it jars. Overall, I enjoyed it, and it’s a nice insight into small town east coast America. Malfi just about gets away with the self-inserted references to Stephen King because his writing as a whole really is comparable. The sense of dread that hangs over the town is gradually ramped up, the idea that it really could be anyone the boys know, including each other. It’s a shame, really, that the final resolution has no connection to the mystery plot (and everything to the bildungsroman), since the mystery is what gives the plot its forward momentum, rather than the character study. Copyright © 2019 SolelyFictional. Powered by WordPress.